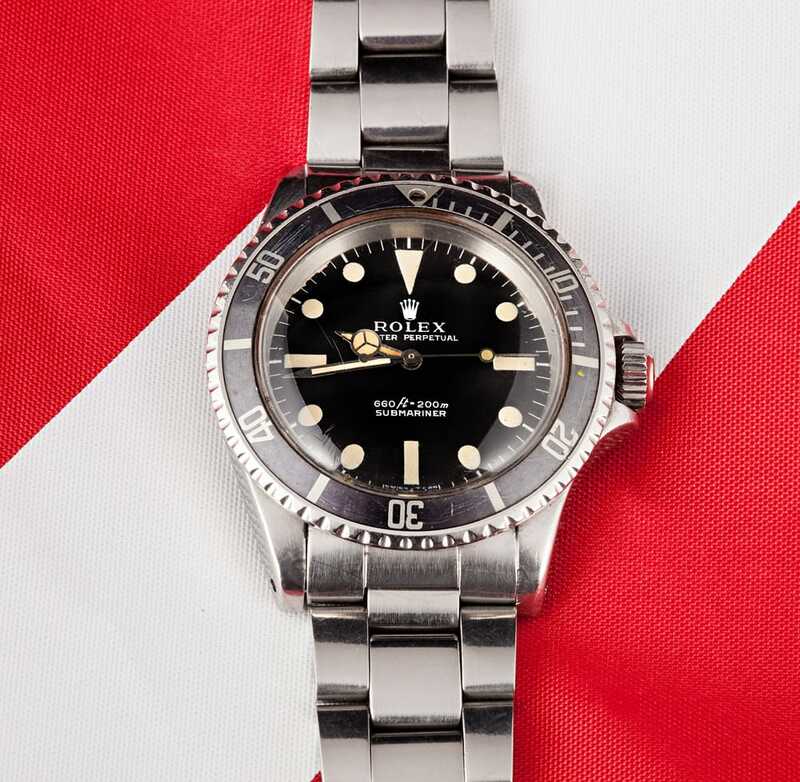 The Rolex Submariner was introduced at the 1954 Basel Fair and was the first truly water-resistant wrist watch. With the ability to withstand water pressure for up to 200 meters in depth, it quickly became a popular watch among divers and water sportsmen. 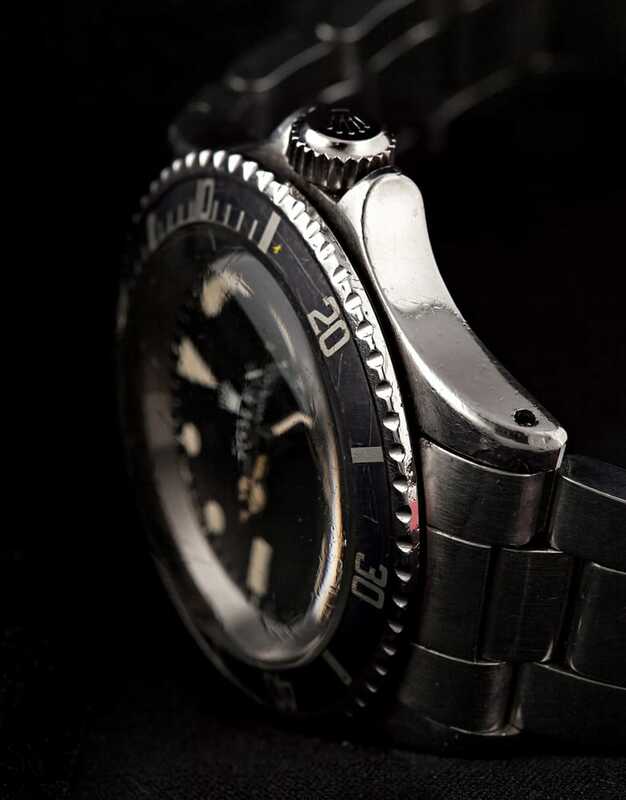 After its initial introduction, the Rolex Submariner went through several renditions. In 1957, the reference 55XX series was introduced, standardizing previous inconsistencies in design and numbering. Reference 5513, introduced in 1962, replaced the original standardized reference 5508. Production of the 5513 lasted from 1962 until 1990, making reference 5513 one of the longest continually produced references in Rolex history. After its long production run, the Submariner reference 5513 was still in demand, becoming a vintage collector’s piece. While still accessibly priced, market prices for reference 5513 have almost doubled from 2003 to 2005. After its standardization, the Submariner featured integral crown guards, dials with white-colored printing as opposed to the previous “gilt,” and all bezels featuring one-minute gradations from the one minute mark to the 15-minute mark, as well as five-minute gradations from the 20-minute to 55-minute positions. 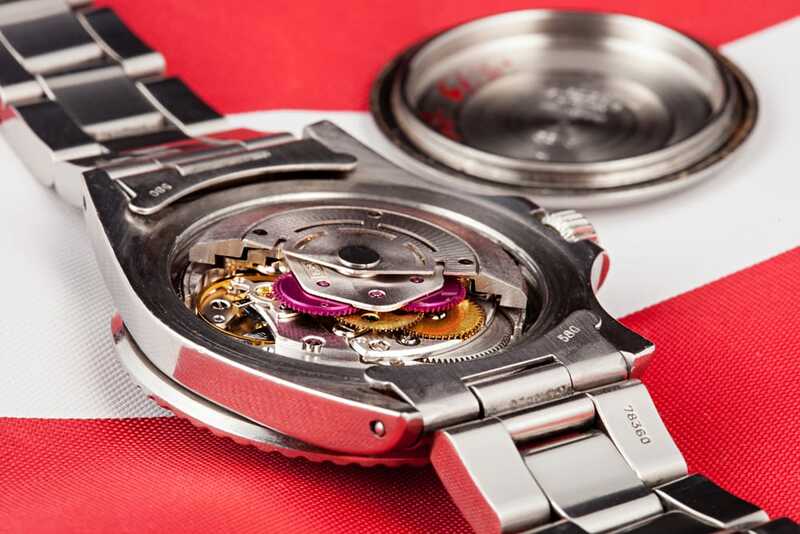 Inside, reference 5513 features calibers 1520 and 1530. Though both reference 5512 and reference 5513 used the same calibers for a short time, the 5512 carries the C.O.S.C. certification while the 5513 does not. Reference 5513 also sports a stainless steel case and Oyster rolled link bracelet, unlike other models. 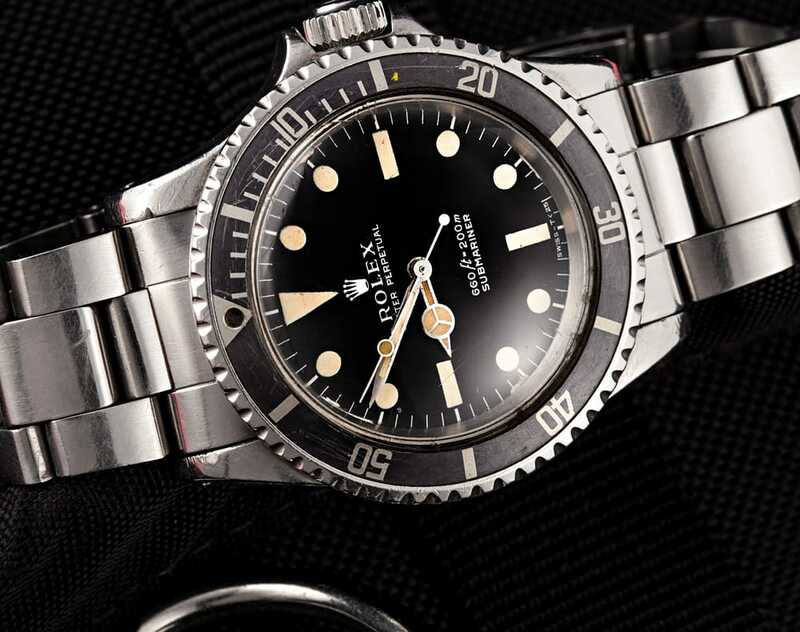 The Submariner reference 5513 is well remembered and valued as the watch worn by Roger Moore in the 1973 James Bond movie “Live and Let Die.” One of the Rolex Submariners reference 5513 actually worn by Moore in the film was recently auctioned off at Christies of Geneva. 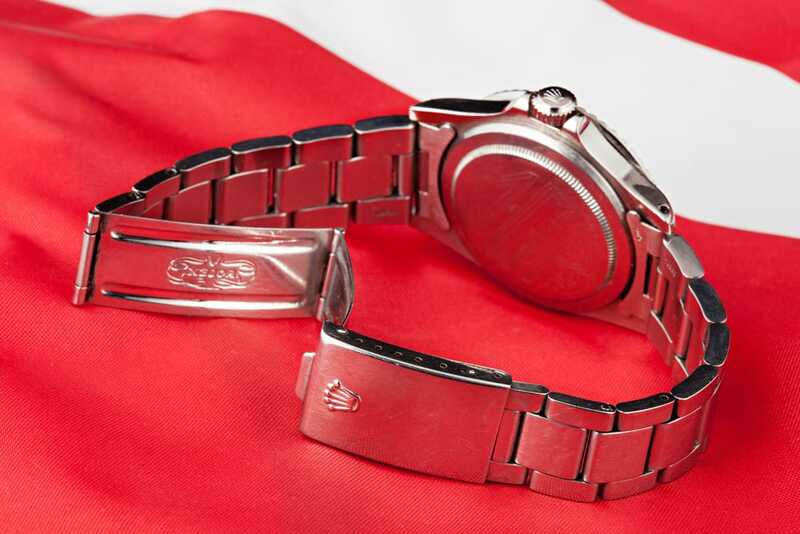 The stunning timepiece displays Roger Moore’s signature on its back, as well as a built-in buzz saw bezel, high-intensity magnetic field generator and oversized crown. 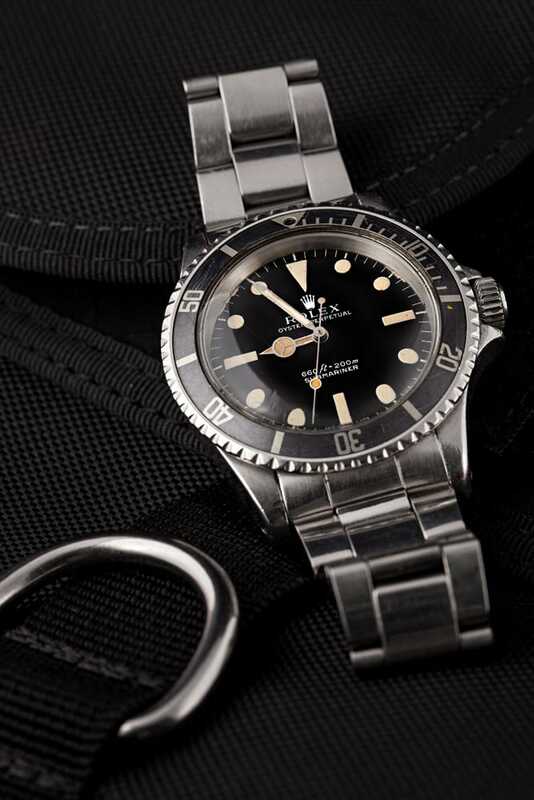 It was expected to sell for a bid of between $230,000 and $450,000, and the ultimate purchaser would also receive the watch’s original concept drawings by famed designer Syd Cain, along with two framed pictures of Roger Moore sporting the Submariner reference 5513 in scenes from the film. Despite this particular piece’s high price tag, other Submariner reference 5513’s are priced far more attainably. 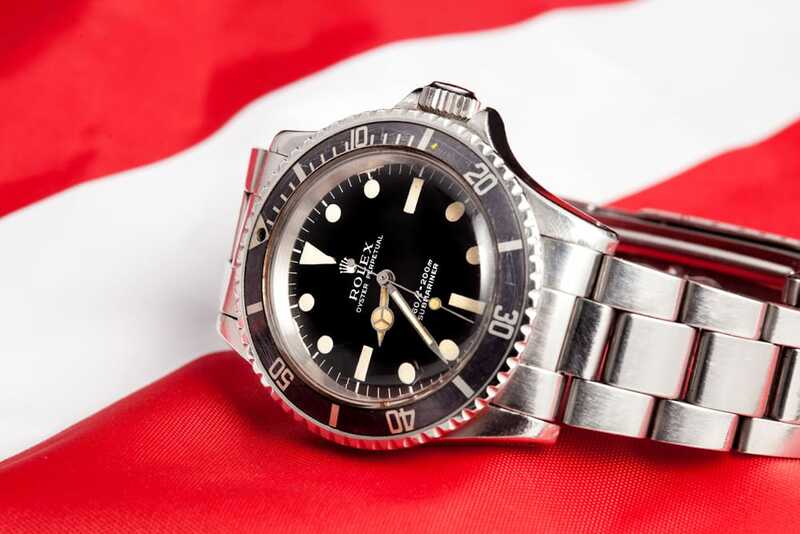 With its initial standardization of the Submariner brand, as well as the fact that it has graced the wrist of fictional action hero James Bond, Reference 5513 is one of the most collectable vintage Rolex Submariners.